Silhouettes For Vets Founder Mark Brenner guest blogged on staffingindustry.com. Read Marks blog on Expert’s Corner: Hiring Veterans — Preparing this talent pool for the workforce is critical. Unemployment among US military veterans is substantially higher than that of working age civilians. In Los Angeles County alone, there are more than 43,000 unemployed veterans. At the same time, there are nearly 45,000 nonprofit organizations throughout the country that work with veterans. Thousands of these organizations are dedicated to helping veterans transition from military to civilian life with the end goal of attaining employment. This is the good news. The bad news is, many of these organizations are interested in putting veterans to work in the civilian sector without consideration of a living wage — which does not solve the problem. In fact, the repercussions can be more severe than one realizes. It can lead to these veterans needing to seek out government assistance, facing the reality of becoming homeless or possibly contemplating suicide. The suicide rate for veterans is staggering, and the number of homeless veterans is also unacceptable. Given this backdrop, it’s not enough for companies to establish “veteran hiring initiatives.” Yes, if implemented properly, a veterans hiring initiative is a great step toward decreasing veteran unemployment. Unfortunately, the issue with these initiatives presents a two-fold dilemma: On the one hand, a great percentage of these initiatives are created because it is the “right thing to do.” But most importantly, it is not the first step needed to ensure that veterans are employed at a living wage. Preparing veterans. Veterans are highly skilled people. It is up to the staffing industry to adapt its HR policies and take a deeper look at how the industry fills jobs. By revising its approach, agencies can have access to a pool of talent with unique and valuable skill sets. What is critical in this process is helping veterans prepare for the job search and qualify for the position before being considered by the company. The first step, therefore, in transitioning veterans into the civilian workforce is to prepare them for it. The military has contracted with companies to assist in the transition of returning vets. A point to remember is however, many of these programs cannot effectively prepare veterans for the workforce in a one- or two-day workshop. To that end, there are many nonprofit veteran service organizations that supplement these transition workshops. Some assist with résumés or interviewing skills. My organization, Silhouettes for VETS, takes a one-onone customized approach to educate, prepare and coach veterans through the hiring cycle in order to get a viable job. The process. Staffing companies can work with organizations that empower veterans to navigate the hiring cycle including transition to civilian life, identifying companies and skill sets, the creation of a résumé, time management and interviewing techniques. There are some programs that address some of these requirements and others provide one or two elements. Some programs, such as Silhouettes for VETs, also include ongoing support after the veteran has secured employment. Collaborating with other nonprofit veteran service organization allows companies and staffing firms to resolve issues faced by transitioning veterans. Here are just a few: The Salvation Army Haven helps address veteran homelessness, The Soldiers Project works with veterans struggling to reintegrate from military to civilian life and National Veterans Transition Services assists veterans as they move from military life to civilian life. The goal. It’s on all of us to help transitioning veterans find employment in the civilian workforce. Through collaboration and better understanding of this ecosystem, all parties — including staffing firms — can better help to reduce veteran unemployment, and in the process, poverty and homelessness. This is a great opportunity to help the country and your business. 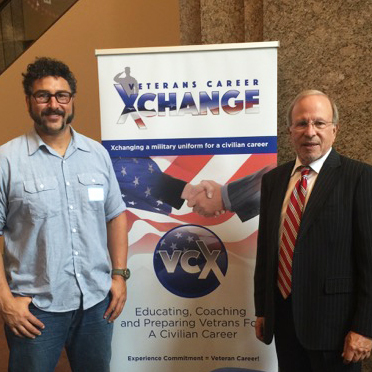 A Veteran’s Hiring Initiative – Do YOU Really Have One? Most large and mid-size companies throughout the country have Veteran Hiring initiatives – or do they? First, it seems fair to ask – What actually is a Veterans Hiring Initiative? Does this mean the company will only hire Veteran’s – of course not! Does it mean that it is advantageous from a publicity stance to “say” you have a Veterans initiative – perhaps! Or does a Veterans Hiring Initiative mean that a company will make a concerted effort to hire Veterans – Yes! Over the course of the past few years as these initiatives were developed and implemented this is the breadth and depth of what a highly functioning veterans initiative should be. Unfortunately a great number of companies say they have Veteran Hiring Initiatives for outward appearances to the public, for these companies are marketing their organization for their own benefit without any of the claimed benefit professed to be bestowed on our Veterans. Companies who have Veteran Hiring Initiatives have open positions – these are not Veterans jobs but jobs! It is a misconception to believe that a company with an initiative will only hire Veterans. Of course a company with an initiative would prefer to hire a Veteran but if a Veteran applicant is not prepared or qualified for the job then the position ought to and will be offered to the person who will perform the best. Therefore all job openings should be treated as such and even though an initiative may exist, it is not a Veterans job opening – it is a job opening! Throughout the Los Angeles area companies are making a concerted effort to hire Veterans. Many Staffing Companies have created military divisions to work with Veterans as they transition to the civilian workforce. Both private and public sector companies (including staffing organizations) coupled with Mayor Garcetti’s 10,000 Strong Veteran Hiring Initiative are making in-roads to ensure Veterans are securing positions at a living wage. Yet for as many companies that are actively recruiting and hiring Veteran talent in Los Angeles, there are perhaps 10-fold more who only advertise their initiative for their own benefit. Los Angeles and the nation must strive to employ our Veterans at a wage that is sustainable in order that we decrease the number of homelessness, substance abuse, and suicide within the Veteran community. The solution to the Veterans Hiring Initiative is two-fold. It incumbent upon those service veteran organizations, like Silhouettes for VETS, to prepare our Veterans for the workforce. 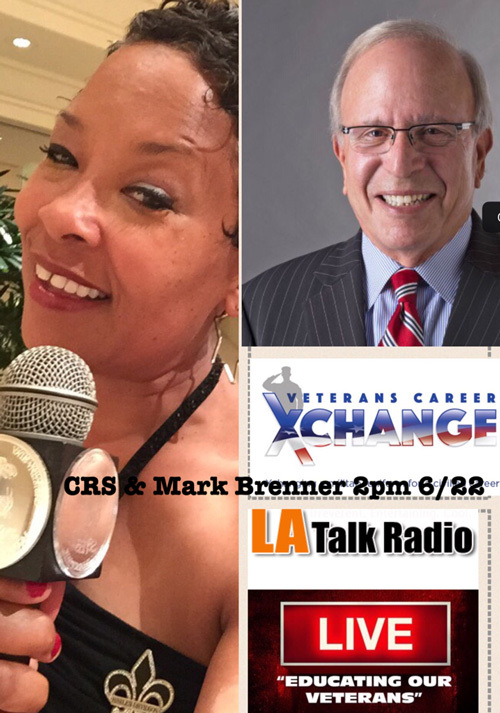 There are literally dozens of organizations in the Los Angeles area who prepare, in one way or another, Veterans for the workforce including, the VA, EDD, CCD, JVS, The Salvation Army, Goodwill, etc. Yet when surveyed Veterans say that they do not know where to go to get these services. 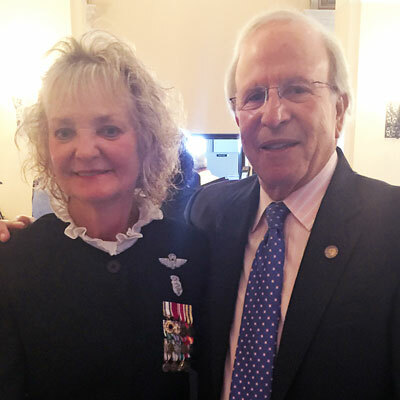 The job of the service organizations is not only to prepare and educate our Veterans for the workforce but also to spread the word about the services that are offered. There are over 40,000 non-profit organizations throughout the country that work with Veterans. Many of these companies work to support Veterans to educate and prepare them for employment. Yet spreading the word about these companies who prepare Veterans for employment is not an easy task. Many organizations are competitive and judged off the numbers of enrolled vets they can procure making the process of hiring both soiled and competitive. Veterans should be able to work with as many organizations as they wish in order that they can be prepared for the workforce and get a job. The USC School of Social Work Survey, “The State of the American Veteran” cites that 8 out of 10 Veterans arriving in Los Angeles are unemployed! There are over 16,000 Veterans in Los Angeles who are unemployed and over 40,000 Veterans unemployed in Los Angeles County. And thousand’s more who are under employed. For purposes of Veterans hired, it is unfair to consider those who are under employed (below a living wage). Many of these returning military personnel are not prepared for the civilian workforce. The organizations that educate and prepare Veterans for the workforce have undertaken a herculean task. But through coordinated and concerted efforts these organizations can make a difference – to educate and prepare every single qualified Veteran for the civilian workforce. The second piece of the puzzle remains with the employer. Employers with Veteran Hiring Initiatives ought give strong consideration to qualified Veteran candidates. Not just by saying, “We hire Veterans” or “Veteran Welcome”, but by taking action by mandating a percentage of the workforce, such as many companies in New York have done. If every company with an initiative agreed to a percentage, regardless of what the percentage was, veterans would then become interviewed and their skills and abilities would quickly come to the forefront of the corporate world. Although military life does not parallel civilian life, it does educate our Veterans to understand the value of a work ethic and task accomplishment, the cornerstones of productive business practices. It is one thing to say we hire Veterans, but it is something entirely different to see these words begin to equal action. Let us all, Veteran Service Organizations and employers alike, work together to use our knowledge, our expertise as well as our appreciation to decrease the Veteran unemployment rate and eliminate the number of those who are under employed.